Johnny O Connor of New Village founded the Oughterard Boxing Club in 1964. Johnny saw boxing as a great means of keeping the local youth and GAA players fit over the winter months and the club grew from there. Johnny O Connor was a dedicated trainer, well respected but never feared. The local G.A.A. players gathered in the Hibernian Hall, Camp Street, for winter training. Matt Molloy from Eighterard, said that he was asked by Johnny to propose its formation at a Muintir na Tíre meeting back in 1964. First Committee: President: Pat Mc Gauley, Derrymoyle. Chairman: Johnny O Connor. Treasurer: Frank Kyne. Committee: P. Joe O Malley R.I.P., Paschal Mc Donagh, Mattie Maloney and Joe Donnellan. Johnny had trained and sparred while in the army and wanted to use his experience as a means of gaining fitness and instilling discipline in the youth of Oughterard. In the first year the emphasis was on Junior Boxing. The club had only one pair of boxing gloves. The first memory Máirtín Lee has of boxing in Oughterard under the supervision of Johnny O Connor was at a Regatta in Baurisheen. There was a ring erected beside the lakeshore and a number of contests involving outside clubs were put on in order to promote boxing locally. (There had been Irish dancing on earlier, so the ring was serving a dual purpose). Johnny Lee from Cloosh and Tom Gavin from Magheramore were persuaded to tog out at the end of the tournament. Johnny Lee got into the ring all ready for action, but the ring collapsed before his contest and the boxing was abandoned. (Máirtín Lee says there were too many heavy weights that day, or else too much Irish Dancing earlier on and Johnny Lee and Tom Gavin had a lucky escape)!! Whatever fright Johnny got that day he didn’t box again until 1970 though he was always on hand to spar against his brothers Máirtín and Raymond which was of great benefit to them as they knew that they could hit him as hard as they wished as he had a few years advantage over them. Needless to say he was hitting hard too. Johnny won Connacht Junior Welter-weight Championship in 1971/1972. Junior at the time was under 25 which is now called Intermediate (i.e. next to senior) while Junior to day is a category for 17and 18 year olds).at a tournament in Ballina it was decided that he should get his chance to box in the Irish Junior Championships. Máirtín was persuaded to accompany him to the National Stadium to box in in the same competition. Joe Mc Gauley went as coach as Johnny O Connor couldn’t attend. Johnny and Máirtín lost in the semifinals. Instead of staying overnight in Dublin they came home on a goods train in order to save the Club money. The journey took much longer than the normal train as there were many stoppages. They were very tired and thirsty all the way down to Galway. They arrived home at 2am. Although Johnny was the first of the Lees to become involved in the Boxing Club, he was also the last of them to have won a Connacht Championship and the only one of the Lees to have won a Junior Title. Máirtín Lee often wondered how Johnny could spend so much time helping out in the various clubs and organizations that he was involved with. As a farmer his time must have been limited but we never felt that, as he was a very generous man, both with his time and his money. For the National Championships alone, it involved the best part of a week away from home and for many years he did this, from 1969 up until the eighties. Máirtín was with him in Dublin on three occasions in 1969, 1970 and 1971 and he knows there were many more events that demanded his time later on. In late 1969 he accompanied Mairtin on the International Juvenile Team to a triangular tournament, involving Ireland, England and Wales in Coventry. They were more than a week in England. They stayed for some time with Johnny’s brother Jimmy and family in Woverhampton. How many men would sacrifice such time, especially farmers, who never seem to have a chance of a day off, all for the sake of sport and young people? Johnny O Connor did just that, he was a good organizer, but more importantly he had a good back up team in his wife Josie and family – Bridie, Kevin, Patti and Pauline who also must have sacrificed a lot in order that he could have time off to contribute to and be a leader of his community. They deserve our thanks. Many of the teams were very often made up of members of the one family who won County and later Inter Provincial titles together, not alone in the same year but in some cases on the same day. The Walsh Family from, Camp Street, the Keoghs, Main St. won County and Connacht Boxing titles. David, Seán and Des reportedly won Connacht titles together on four different occasions. Henry and Padraic Keogh won a number of County titles over a number of years and at least one Connacht title together in 1976. Henry had also won a Connacht title in 1975 along with Patrick Mc Quinn (Camp St.) and John Thomas Gibbons. John Thomas had also won a Connacht title in 1974. Mike Noone lost out on a technicality in the 1975 Connacht Championships. Des Walsh won his first Connacht title along with the Keogh brothers in 1976, and is reported to have won other Connacht titles than those mentioned. Conrad Keogh also boxed for some time but did not have the same degree of success as Henry or Padraic at Championship level. In April 1966 Mártín Lee of Cloosh won the first County Championship followed by National titles in 1969 and 1970. 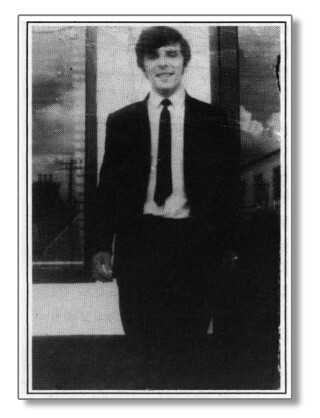 Martin was also chosen on an Irish International Juvenile Team that boxed in England in 1969. Martin Lee and Mattie Molloy, Camp St. won County and Provincial titles in 1969: Mattie Molloy broke his hand when he fell down the stairs in St. Paul’s school ( old convent) and couldn’t box in Dublin. Gerry Clancy who was later heavily involved in the local GAA won a county title in 1969. 1969/1970 Mr Christy Butler and Joe Mc Gauley became involved with the club and they made an enormous contribution during the following years in the running of the club. 1970 The Club won six Juvenile titles in total and for the first time four brothers won juvenile titles on the same day, namely Martin, Raymond, Gerry and Richard Lee. Matty Molloy and Jimmy Butler won juvenile titles too. There was great jubilation in Swinford, Co. Mayo when they won. Travelling supporters carried Johnny O Connor, their coach, shoulder high through the town. Johnny Lee went on to make it five brothers to win Connacht titles in the same year when he won at Junior level. The Club won the trophy for the best club in Connacht. The Lee brothers with Matty Molloy and Jimmy Butler went to Dublin to compete in the National Championships and Máirtín won the All Ireland Title for the second year. This was a great achievement for a club only eight years in existence. In January Martin Lee was awarded “Sports Star of the Year” for his achievements in 1969. (Mick Molloy won the Athletics Award that night also). Johnny O Connor retired from the club in 1980 and Gerry Clancy took over the reins. Gerry was a dedicated, talented and an accomplished coach. He accompanied the Galway Boxing team to England where they fought in Bermingham on numerous occasions. He was involved in hosting the Birmingham team when they paid a return visit to Galway. Gerry was to have only one all Ireland title winner in Alan O Connor as coach due to his untimely death in 1986. Johnny Folan, Paddy Clancy, John Angland, Jimmy Geoghegan, Pat O Connor and Paddy Geoghegan assisted Gerry in the running of the club. In the early 80’s the Walsh brothers of Moyvoon, Malachy Carter of Lough Gannon and Robert Welby won county and Connacht Titles. The O Halloran brothers, Cloosh – Tony, Finbarr and Bosco were members of the boxing club at this time. Tony won a Galway county league title while Finbar won a County Championship Title in 1981. Bosco had several successes winning Galway County Championship and Connacht titles in 1983, 1984. He won an All Ireland Semi- Final runner up title 1982-1983. 1984: Patrick Geoghegan, Rusheeney won a county title. Alan O Connor, Oldchapel, won a County, Connacht and National title the same year. After the untimely death of Gerry Clancy Raymond Lee took over as trainer. Johnny Folan, Tony Mc Quinn, Paddy Geoghegan, Richard Lee and Jimmy Kelly assisted him. This was the beginning of what can only be called the clubs golden era. 1987 Gabriel Geoghegan, Rusheeney won a County Title. 1988 Gabriel Geoghegan and Enda O Connor won a County and Connacht title. 1989 Sean Clancy, Maghermore, Gabriel Geoghegan and Richard Tuck won County Titles and Richard and Gabriel went on to win Connacht Titles. !991 Martin Lee rejoined the club to lend a hand. 1992/1993 The Club had 9 County Champions out of a total of 14 boxers from 11–16 years of age. It had 2 youth winners out of 5 Connacht Champions entrants – Kevin Clancy and James Kelly and they were beaten in the National Finals in Dublin. 1995 Connacht Champions: Matthew Clancy, Aidan and James Kelly. The Club had a comparatively small number of boxers. The quality of their training and the lads determination compensated for the lack of numbers. They won the “Best Club Award in Connacht”. This award had not been won since the early 70’s bridging a gap of 25 years. 1996 The Club had two all Ireland Champions in Rory Mc Gauley and Marvin Lee. Connacht Champions were Gearoid Clancy, Eoin Kelly, P.J. MC Gauley, Darren Lee, Marvin Lee, Thomas Lee, Pat Mc Gauley, Brian Healy and Edward Joyce. 1997 Thomas Lee won his first all Ireland title going on to win an impressive 9 titles in total. This is the most titles ever won by a boxer who qualified form Connacht Championships. 1998 Thomas Lee and Gearóid Clancy were selected on the Galway team to box in Athy, Co. Kildare. Thomas won on points against E. Murphy, an Irish Juvenile Champion in 1996, from the C.B.S. B.C. in Wexford while Gearóid was considered unlucky against C. Murphy from St. Michael’s B.C. in Athy which was won on points. Coaches: During this period of great success in the Club they had three official I.A.B.A. coaches: Raymond Lee, Máirtín Lee and Tony Mc Quinn with Jimmy Kelly and Johnny Folan as assistant coaches. This level of expertise was a great asset to the Club. The Club won best Club in 1995, 1996 and 1998 with twelve titles being their best achievement. At Manorhamilton, Co. Leitrim on Sunday March 3rd 1996, Marvin Lee and Rory Mc Gauley won Connacht Youths Championships in their respective weights. They went on to contest the all Irelands in the National Stadium where they took home the coveted titles. Bonefires blazed when crowds gathered to greet the champions Marvin Lee and Rory Mc Gauley on their return from the National Stadium where they both won Irish Youths Championships. In the Youth I X 71 Kgs Semi final Marvin Lee beat Michael Sweeney from the Phoenix Boxing Club in Dublin on points. Rory Mc Gauley stopped Shane O Hagan from the Bishop Kelly Club, Co. Tyrone in the first round of the Youth IX 75Kgs. On the Saturday Marvin beat an old rival in John Donovan from the St. Michael’s Club in Athy, Co. Kildare to clinch his second Irish title in three years on a score of 10 points to 6. Rory beat Patrick Cooper of the Monasterevin Club, Co Kildare when the referee stopped the contest in the second round after his opponent had received two counts of 8. At the European Junior Champioships in Birmingham, Marvin repeated his achievement of 1996 when he won a bronze medal for Ireland. On his way to the semi-final he defeated Evgueni Kazantsev of Russia, the previous season’s World Junior Champion. Marvin defeated Argam Movsesyan of Armenia, Mihail Muntean of Moldova and Paulius Kavaliauskas of Lithuania. Marvin was the only Irish boxer, from a team of eight, to reach the semi-finals and collect a medal, which was another great achievement for the Oughterard Boxing Club. He was also awarded his second “Sports Star of the Week” from the Connacht Tribune on the 12th June 1997. Awards 1997: Marvin won the Boxing Sport’s Star, Tuam Herald and Radio na Gaeltachta Award. Marvin was defeated by one point (i.e. 10points V 9 points on a computer score) at the world Junior Boxing Championships in Buenos Aires, Argentina. Marvin Lee’s awards were a remarkable achievement by any standard, but was due recognition of his performances at National and International level in those years when one considers that he kept Olympian Francis Barrett, who was having a high media profile off the top perch – awards-wise. The context of his achievements can be appreciated. Marvin brought his total of International contests to thirteen when he boxed for Ireland at a multi-nations tournament in Greece in December. Eight nations were represented at the tournament: Russia, America, Germany, England, Poland, Greece, Cyprus and Ireland. Marvin who had this stage had won eleven of his thirteen international contests, had only been defeated at the European Championships Semi-finals in 1996 in Italy, and in 1997 in England (Bronze Medalist twice). His three wins on this occasion was against a Russian in the quarter-final, an American in the semi-final and a Greek in the final. All three contests were won on points. Marvin won a multi- nations tournament in Yugoslavia where he was awarded “Best Boxer”of the tournament. To add to Marvin’s previous awards from the Galway Advertiser/ Galway Bay F M/ Supermac’s he was honoured with the Connacht Tribune/Tuam Hearld/ Radio na Gaeltacht “Sports Star of the Year Award” for boxing. This was a great tribute to his achievements in 1997 as Francis Barrett from Olympic B.C., who represented Ireland at the Olympics two years previously and won a British Amateur title in 1997. was also in contention for the same award. Thomas Lee and Marvin Lee were both well-established members of the Irish International set up for several years and competed for European titles. Some of the well-known boxers in the team over their tenure would have been Bernard Dunne, Darren Sutherland, John Duddy, Andy Lee, Kenny Egan and the Hyland brothers but to name a few. Jack Duddy who was shot dead with twelve others on Bloody Sunday, the 20th January 1972, was an uncle of John Duddy. In the all Ireland Final 1969 Mairtin Lee defeated Jack (John) Duddy from Derry. Marvin Lee defeated his nephew also called Jack (John) Duddy in the 1996 all Ireland Championships. He is the Jcak or John Duddy who later turned professional and boxed in America. 1999 at the Irish Youths Championships at the National Stadium, Dublin on the 25th April, Thomas Lee won his third Irish Title in-a row, in the Youth 1X42Kgs. Category. Thomas, who was making his fifth appearance at Irish Championship level, stopped Nathan Hunter of Scorpion B.C. Antrim, in the first round of their semi-final bout. Thomas defeated old adversary Martin Mc Keown of Newry, Co. Down, in the Final on a computer score of 14 points to 10. This win crowned a great year for Thomas who had maintained a high level of consistency for the past previous five years. With that record he put himself in a strong position for a place on the Irish Youth Team. 1999 Gearóid Clancy one point short of final place against Eoin! In the all Irelan Junvenile Championships at the National Stadium, Dublin in April, Gearóid Clancy and Eoin Kelly recorded victories over Barry Gillen, Antrim and Seán O Mahony, Fr. Hogan’s Cork, respectively when they both stopped their opponents in the third rounds in the quarter Finals of the Boys 1 X 45kgs. Category. In the Semi-finals on Friday, Eoin defeated C. Fisher, Shamrock. B.C. on points and Gearóid was adjudged the loser by one point against A. Sadlier, Holy Family B.C., Drogheda. This meant that Sadlier met Eoin in the Final on Saturday where Eoin lost by 2 points. The irony of the above story is that, but for an extra punch, both Oughterard lads would be assured of the Gold and Silver medals, in what would have been an unique occasion at National Championships level. Both boxed with such courage, determination and skill, that they deserved to have fought it out in the Final. Who’d have won? We’ll never know, and their friendship remains in tact. Maybe that’s the most important out come. Thomas boxed in a European Tournament in Eger, Hungary. He won a Bronze Medal. He was defeated in the semi-final by the Hungarian Champion and eventual tournament winner on a computer score of 11 points to 9. At the Gaelic Youth Championship in Kinghorn, Fife, Scotland, Thomas Lee added the Gaelic Youth 48Kg title to his list of achievements which by now included the Irish Youth and Junior titles and an International win against England. By this time he held five Irish titles in a row. He defeated Wesley Fender of Wales by 16 points to3 in the semifinal. In the final he stopped Simon Moles of Scotland in the second round to round off his most successful season title wise since 1995 when he first competed in the ring as an eleven year old. Thomas Lee was selected to represent Ireland at the boxing training camp at the Sydney Olympics From September 12 – 4th October 2000. This was a great honour for Thomas as he was the only Irish boxer to do so. He was part of a training group made up of one Junior boxer from each of the participating countries at the Olympics (approximately one hundred and eighty eight). This innovative scheme was backed by the Olympic Council in conjunction with the sporting organizations including the IABA. Only one young Irish athlete had been honoured. Thomas’ selection was due recognition of his achievements up to 2000 at National and International level. He held at that time five Irish titles in a row, two of which were won that season at Youth 2 and Junior level. The other Irish titles were at Youth 1 level in 1999, Boy 4 in 1998 and Boy 3 in 1997. He also won a place in the Irish final in 1995 and semifinal in 1996 where he was narrowly defeated on points on both occasions. In 1999 he won his first International against England and the following month “The best Boxer in Galway” in January 2000 and the Gaelic Youth Title in Scotland. In 2000 Martin Healy won an All Ireland title. Martin went on to represent Ireland at International Level. P.J. Mc Gauley was narrowly defeated in the Connacht Final by the eventual Irish Champion, Patrick Coyle from Geesala, B.C., Mayo. Conor Mc Quinn, Stephen Kavanagh, Cathal Noone R.I.P., Aidan Mc Partland, Seán Mc Partland, Padraic Quealey and Thomas O Toole all boxed with distinction in the Connacht Junior Juvenile Championships. From 1970 down through the years Mairtin, Marvin, Peter and Thomas Lee won Galway County All Star awards. The Club won the Gerry Clancy Cup for “The Best Club in Galway” with a total of 12 County Juvenile titles. At the Connacht Juvenile Championships at Midfield, Co. Mayo in April the Club won four titles and had four defeated finalists, winning the Stephen Kennedy Cup for “The Best Club” in Connacht. The four Connacht Champions were James Greaney, Stephen Walsh, Peter Lee and Martin Healy. Martin also won “the Best Boy 4 Boxer” award. Martin Healy won the Boy’s 14 Year’s 63.5Kg event at the Irish Amatuer Boxing association National Championships at the National Stadium, Dublin on the 30th April 2000. This was his first Irish Title. He defeated Robert Nicholl, Westside B.C., Dublin. He stopped his opponent in the first round. He also stopped his quarter- final opponent, Michael Moroney, West Clare in the first round, while his semi-final contest against Conor Gorman of Monenroe, County Killkenny was won on points. Peter Lee defeated the 1998 Irish Champion Stephen O Brien of Mullinahone, Co. Tipperary in the quarterfinal but was defeated by the 1999 Irish Champion, J.P. Quillan of Keady, Co. Armagh in the semifinal. Both contests were won on points. Stephen Walsh was defeated by the eventual Irish Champion, Daniel Nevin, Holy Family B.C. Drogheda in the quarterfinal. James Greaney was defeated in the semi-final by Martin Mongan of Ennis in a closely fought contest. The club had to wait several years for a title until Colm Molloy won his first All Ireland in 2010 and again in 2011 along with his brother Kieran. Both boxers are now part of the Irish High Performance team. They have represented their country at International level. The club hosted the first ever boxing tournament in Clifden which proved to be an outstanding success. The Club won six Mayo Open School Boys Championship titles with Matthew Tierney winning at Boy 1 39Kg, Paul Walsh at Boy 2 50 KG, Kieran Molloy at Boy 3 50Kg, Colm Molloy at Youth 1 50Kg and Ethan Walsh and James Butler getting walkovers. Oughterard Boxing Club caters for a large area with members from Moycullen, Killannin, Leam, Maam, Clifden and Roundstone. The club welcomes children who may not wish to box competitively but want to partake in the physical exercise. The club always had a strong working relationship with Cumann Peil Séamus Ó Máille since its foundation and still enjoys these links to day, with our current clubhouse now situated in the GAA grounds. Over the years the club has supplied the International set up with boxers and to this day the links are very strong with both Colm and Kieran Molloy on the International Team. This gives the coaches of the club an avenue to the same training techniques and skills being used to train the top boxers in the country. Raymond, Thomas and Marvin Lee have all been part of the coaching set up with the International teams and our members benefit greatly from this experience. The Club hopes to emulate the great achievements of the mid 1990’s and early 2000’s and with the largest membership in years the club hopes to produce boxers to achieve this goal. Boxing has been an important contributor to the health and well being of children and young adults in the community. Johnny O Connor, Pat O Connor, Johnny Folan, Pat Joyce(Buzz) Mairtin Lee. Ever since the Club’s inception the good will and support of the people of Oughterard/Killannin and their surrounds has been great. The huge turn out for the local tournaments is much appreciated. The local businesses have always given generously to help the Club fund tournaments and as these are the only means of fundraising their support is very important towards the survival and development of the Club. The Boxing Club celebrated the 50th anniversary of the Club this year in the Community Centre. It included 6 exhibitions bouts, a video trip down memory lane and a tribute to those who contributed to the success of the club from its foundation as a fledging club to its strong presence in Connacht, Nationl and International level. A three-course meal was served. Bernard Dunne former World Champion and IABA High Performance School Boy Coach Pat Gallagher attended. Their presence at the function was a huge honour for such a small club. Oughterard Boxing Club has enjoyed tremendous success down the years. Great credit is due to all the coaches, mentors, volunteers, parents and above all the young boxers who availed of the facilities of the Boxing Club. Special mention to all who have been on the Ladies Committee and who have worked tirelessly at fund-raising and in the tea-room at tournaments and championships etc. A very special mention to the ladies who took it a step further and served as valued officers of the club down the years. Note: I collated the information for this article on the Boxing Club from detail articles written by Máirtín Lee, Cloosh, in the Oughterard Newsletters and from Seán Clancy’s notes.